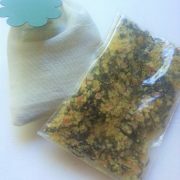 Eucalyptus & Green Tea Bath Salts. 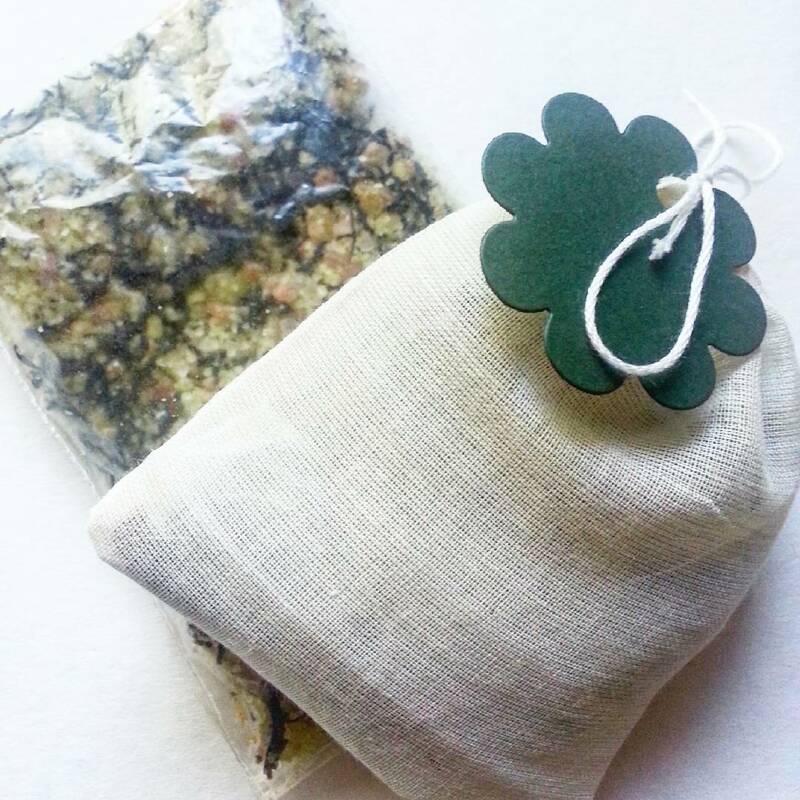 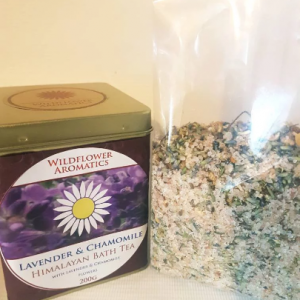 A detoxing, decongesting blend of Eucalyptus essential oil and Green tea leaves. 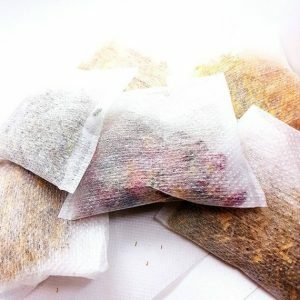 Pour the salts into the muslin bag. 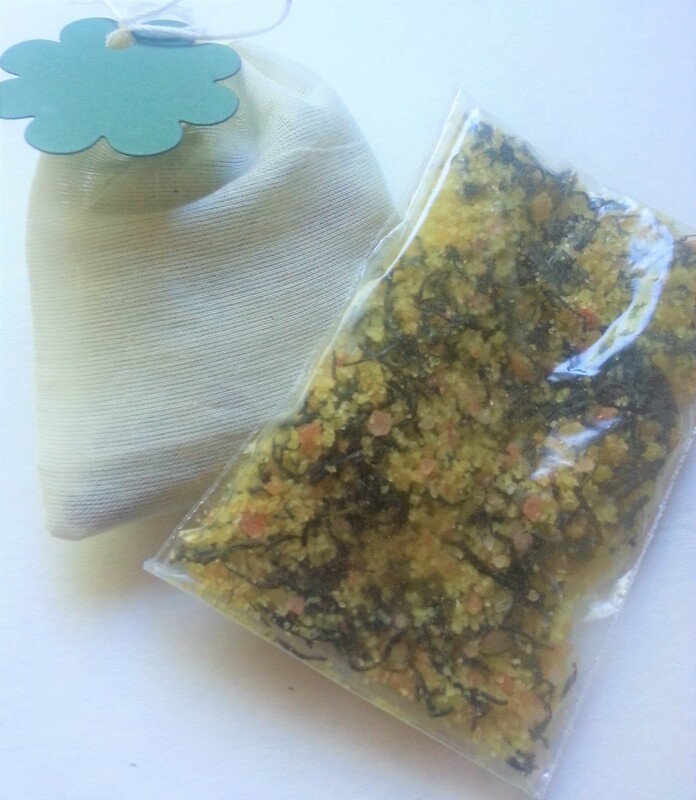 Fasten tightly then drop into the bath water to infuse. 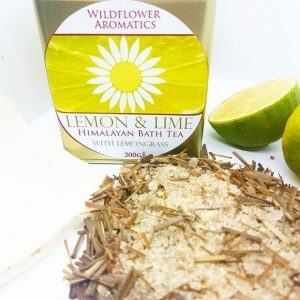 Himalayan Salts (Sodium chloride), Cream of Tartar (Potassium bitartrate), Green tea leaves (Camelia sinensis), Organic Extra Virgin Coconut Oil (Cocos Nucifera), Eucalyptus Globulus (Eucalyptus essential oil), Melaleuca Alternifolia (Ti Tree essential oil), * Limonene (Natural chemical found in essential oil).